My grandpa loved sitting by his kitchen window and watching his bird feeder. He’d watch in anticipation for the first sign of robins. With their arrival, it was certain spring was right around the corner. Robins came to my yard a few weeks ago and we’ve heard peepers. The magnolia trees are blooming and dandelions are popping up. I think we can be certain spring is here! Spring around the farm brings birds, too, in the form of newly hatched baby chicks. Calves are born in the soft grass pastures. And plants are starting in abundance in some local greenhouses. The arrival of spring means an arrival of seasonal produce to the market! The temperatures and daylight length aren’t where they need to be to grow tomatoes and peppers, but greens are coming up in abundance. Other spring time favorites, like rhubarb and asparagus are also starting their emergence from the newly warmed soil. And another thing that happens to show up in abundance in spring is eggs! Hens love the lengthening of the days and reward us with an increase in egg production. There is a good reason why chicks and eggs are the quintessential symbols of spring. The hens love spring for their seasonal eatings as well – warmer soil brings back the worms and some other early spring bugs. These worms, bugs, and newly emerging weeds and grass in the pastures are helping to create some really phenomenal tasting eggs. If you want to have a really eye opening experience, crack open a store bought egg next to a farm fresh egg! It’s hard to believe that this is our last winter market before opening day on May 15! The weather outside right now certainly doesn’t seem spring-like, but May 15 will be here before we know it. So, enjoy the emergence of the flowers that these April showers are sure to bring, enjoy the seasonal greens from the market, and be sure to mark your calendar for opening day! Yes, as Heidi noted above this is the last Winter Market and the regular season of the Bridgeport Farmers Market, our 8th outdoors, begins Sunday, May 15. Did I already say it? OUR 8TH OUTDOORS! Hard to believe. For the record, the Market takes place, as always, at the Charles Pointe Development off of I-79 exit 124. If you’re coming south on I-79 turn left off the exit and then turn left again at the second light and follow the signs. If you happen to be coming north turn right off the exit and then turn left at the next light and follow the signs. No matter what direction you’re coming from prepare yourself for a good time. 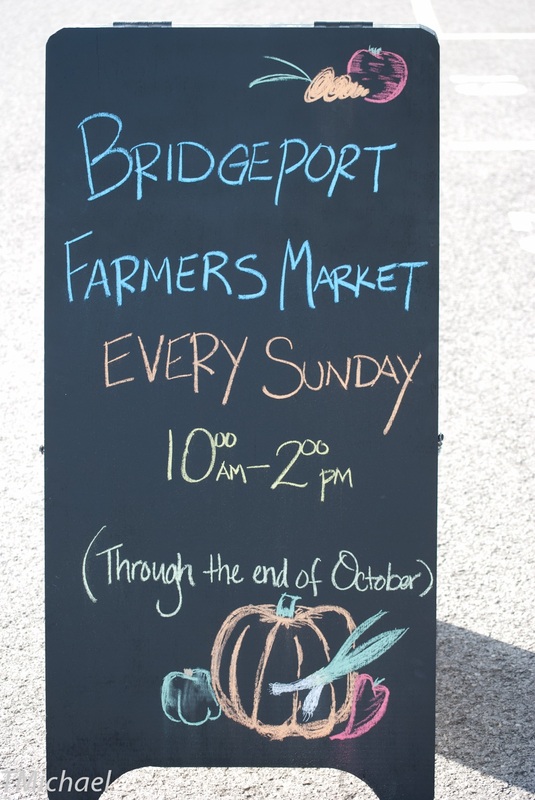 We’ll be there, rain or shine, from 10am to 2pm every Sunday thru mid-October. While I can’t give away all the surprises in store for this season if you’ve been following the Market’s Facebook page you have been given a few hints. One thing that I’m particularly excited about has to do with one of my favorite things, BOOKS! That’s all I’m saying for now other than to say that you should check out the tent next to Quantum Bean Coffee on May 15. Until next month, Stay Fresh! Next Welcome to Let’s Get Fresh!